One of the benefits of having quartz countertops in Wallasey is that you get to enjoy the look of natural stone without having to deal with the maintenance aspect of it. Quartz is considered one of the most durable of materials to use on your kitchen or bathroom countertops. Polyester resins, combined with the ground quartz not only add to its elegant look, but also contribute to its resistance to stains and scratches. Additionally, they are non-porous, meaning you can skip the sealing process all together. This is one of the advantages it has over granite, another popular material used on countertops. You’ll have a variety of options to choose from as quartz countertops come in a range of colours and designs, including various finishes such as sandblasted or embossed. David Williams supply and fit kitchen worktops using various stone products. In Wallasey, quartz countertops from our company give you the option of having something less traditional but still add that touch of class. You’ll not only get to enjoy their durability and solid nature, but also the range of colours that it is available in. When you hire our experts, you’ll have your manufactured quartz kitchen worktop supplied and fitted by our professional team, for a good, clean finish. Our family run firm ensures you get the very best quality, both in terms of service and the products supplied. If you’re conflicted about what type of countertop to get, we’re happy to offer some advice that will help you solidify your decision. We’ll carry out a home visit and discuss your requirements, and encourage you to visit our factory in order to choose your preferred style or colour. With our deliberate quality manufacturing and installation process, you’ll have the kitchen countertop of your dreams in no time. If you’re in the market for quality quartz countertops in Wallasey, do not hesitate to contact David Williams today. Feel free to look through our granite range as well. We also offer the installation of fireplaces; so if you are looking for a cosy way to warm up your space during the cold season, speak to us. 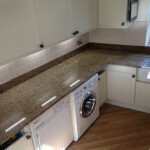 This entry was posted in Quartz and tagged Quartz Countertops in Wallasey, Wallasey Quartz Countertops. Bookmark the permalink.